15 minutes to Asheville! 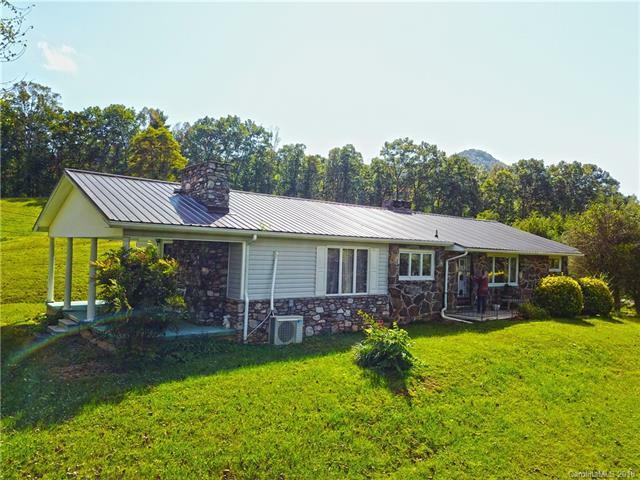 8.8 acres with solid mid century 3 BR 2 BA stone ranch in good condition. Large Barn. Gentle rolling pastures and large level garden/crop area. All the land is usable. Great for farming or horses. Livable, single wide trailer on the property for caretaker or rental. Easy paved access. A complete private small farm and so convenient to Asheville. This one is special and hard to find!